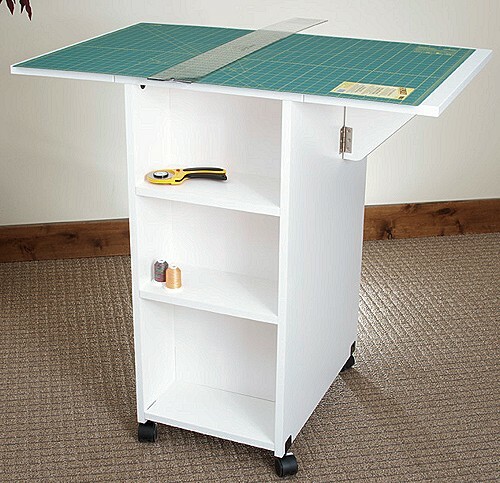 Our newest cutting tables, models 93c and 95c, are a big hit. 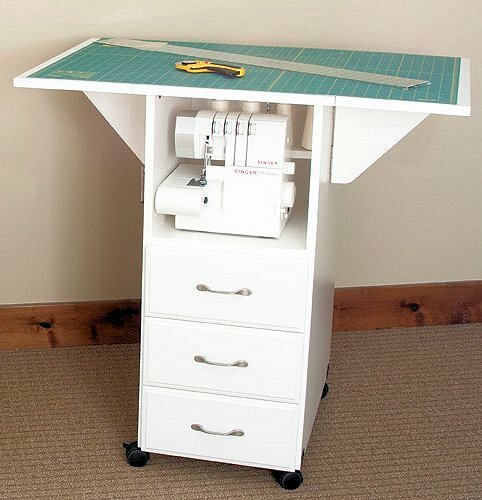 The 93c has 3 drawers with storage space for larger items like a Serger. 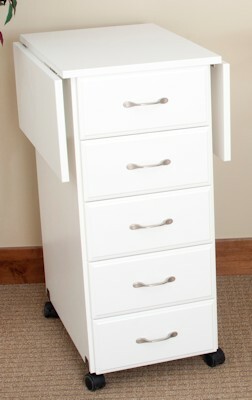 The 95c has 5 drawers instead of open storage space. Both have three shelves in the back for more storage space. Add your cutting mat on top and you're ready to go. No more cutting on the dining table or the floor and set at the right height to be easy on the back. Here the 93c is shown open (with mat and other items not included).